In order to efficiently deal with the shoulder blades pain, it is vital to know its underlying cause. Continue reading and discover what the possible causes of this condition are, what the related symptoms are, when and how to prepare for a medical checkup, and how to treat the condition on your own. To keep your body healthy at all times, you will also be provided with some tips that may help you prevent this pain in the future. Muscles: There are multiple muscles in this area including middle and lower trapezius and rhomboids muscles. Muscle strain is the most common cause of pain between the shoulder blades. Its symptoms include aching (especially when moving or lifting), soreness, and muscle inflammation. Thoracic aorta: A segment of the aorta, the main artery of a human body that supplies oxygenated blood to the circulatory system. When the aorta gets ruptured, it causes a life-threatening situation. The symptoms accompanying thoracic aorta rupture include sharp and severe pain in the upper middle back. If you experience this, calling and an emergency right away is mandatory, as surgery is required to fix ruptured aorta. Heart: Part of the heart is also located in the area between the shoulder blades. Pain deriving from the heart is often a symptom of a heart attack. If you experience shortness of breath and chest pain, call emergency immediately. Pain between shoulder blades may start in any of these structures or may begin in other regions as nerves transmit pain signals. Chronic pain lasts for a few weeks or several months. Pain begins between shoulder blades and spreads out to other parts of the back, including arms. A sharp explosion of pain. Lingering pain that does not go away throughout the day. These symptoms should not be taken lightly. If you are experiencing any of these signs, visit your doctor for proper diagnosis and right treatment. Many different things can cause pain between shoulder blades. Some pains may come and disappear due to mild strains or tired muscles caused by working in front of a computer for long periods of time, heavy lifting, exercises, poor posture and other activities. In these cases, the pain will dissipate and should not be a cause for concern. However, some causes could be a result of an injury, disorder or serious health condition that requires medical intervention. 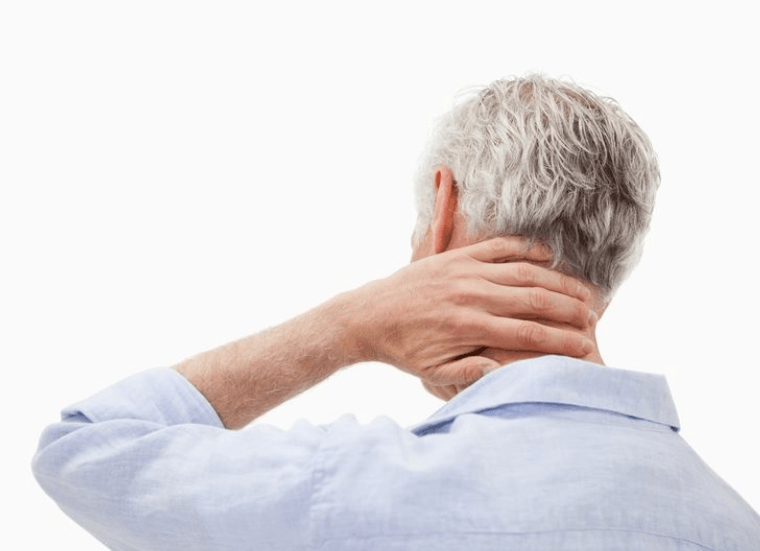 Cervical Spondylosis is a common condition among people of age 60 and above. It involves changes to the bones, joints, and discs of the neck caused by wear-and-tear. Signs of osteoarthritis develop as the disks degenerate and this condition worsens with age. For most people, there are no signs or symptoms. When symptoms appear, they usually include stiffness and pain in the neck. If nerve roots or spinal cord become pinched, it may result in weakness, tingling and numbness in arms, hands, legs or feet, loss of bowel or bladder control, difficulty walking and lack of coordination. Bad posture contributes to shoulder pain. In fact, many people suffer from the damaging effects of poor posture. When the spine is in an unusual position, the muscles, joints, and vertebrae are also stressed and receiving pressure. If bad positioning continues, it can result in body pains including shoulder blades, upper or lower back pain, arm, and neck pain. Some factors that contribute to postural dysfunction include lack of awareness of proper posture, sedentary lifestyle, job-related demands, poor core stability, lack of exercise and joint stiffness. 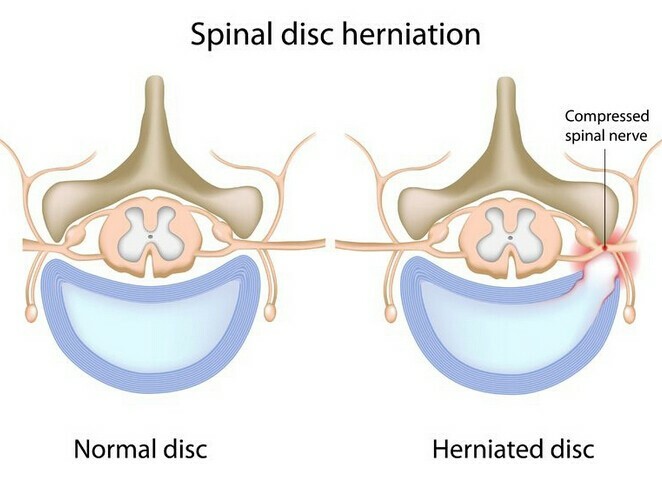 A herniated disk is a problem with one of the disks (rubbery cushions) between the vertebrae (individual bones that stack up to make the spine). Also called a ruptured disk or slipped disk, it is usually caused by age-related wear and tear. It may also occur when using back muscles for lifting heavy objects. Accidents and injuries can also result in this condition. The common signs and symptoms include arm or leg pain, neck and shoulder pain, tingling sensation or numbness, and weakness of the muscles. One of the possible causes of pain between shoulder blades is a heart attack. This occurs when a build-up of cholesterol, fat and other substances block blood flow to the heart. The interrupted flow of blood can damage areas of the heart muscle. 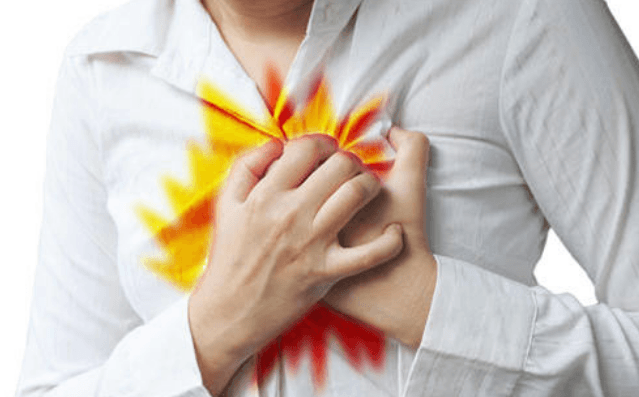 The common signs and symptoms of a heart attack include tightness, pressure, pain, aching or squeezing sensation in the chest or arms that extend out to the neck, back or jaw. Other symptoms of are shortness of breath, cold sweat, indigestion, abdominal pain, nausea, and heartburn. If you or someone you know is experiencing some of these symptoms, call your local emergency number immediately. Spinal stenosis is the narrowing of the spaces within the spine. This puts pressure on the nerves and may result in muscle weakness, numbness, tingling sensation in arms, hand, foot or leg, and neck pain. While some people have a naturally small spinal canal, this condition may also occur due to herniated disks, bone overgrowth, tumors, spinal injuries, and thickened ligaments. If not treated immediately, it may progress and cause balance problems, incontinence or paralysis. 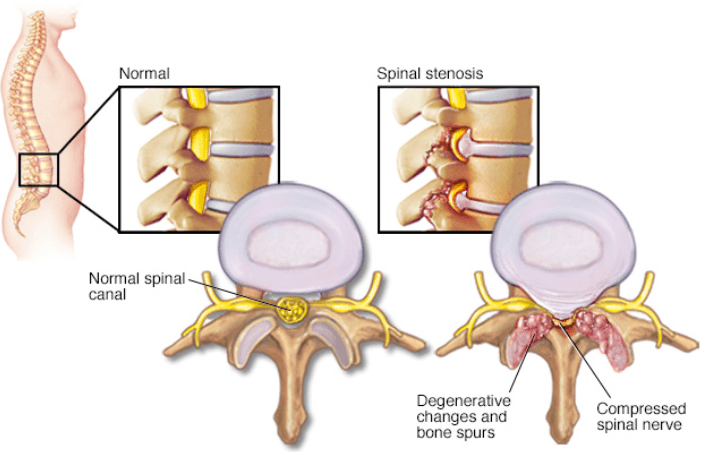 The tests to diagnose spinal stenosis include X-rays, magnetic resonance imaging (MRI) or CT scan. Depending on the severity, doctors may prescribe pain relievers, physical therapy, steroid injection, decompression procedure or surgery. Osteoarthritis is also one of the possible causes of pain between shoulder blades. This condition affects millions of people around the world. It occurs when the protective cartilage of the bones starts to wear down with age and may worsen over time. Its symptoms include joint stiffness, joint pain, grating sensation when using the joint, tenderness, bone spurs, and loss of flexibility. Although symptoms can be managed, the primary cause cannot be reversed. Maintaining a healthy weight, regular exercises, and other remedies can help enhance joint function. The pain may be alleviated with certain medications and physical therapy. Injuries are one of the common causes of pain between shoulder blades. Shoulder issues develop from overuse, everyday wear, and tear, or an injury. Specific conditions that may result in trauma include rotator cuff tears and acromioclavicular joint separation. Lung cancer may cause pain in shoulders by putting pressure on the nerves near the upper part of the lungs. Pancoast tumor, a type of lung cancer, can affect tissues near the shoulders. It also causes shoulder pain that extends to the arms. Other cancers that may cause acute or severe pain in this area are liver cancer, mesothelioma, esophageal cancer, and lymphomas. Cancers that spread to the bones in the neck region may result in pain between shoulder blades. 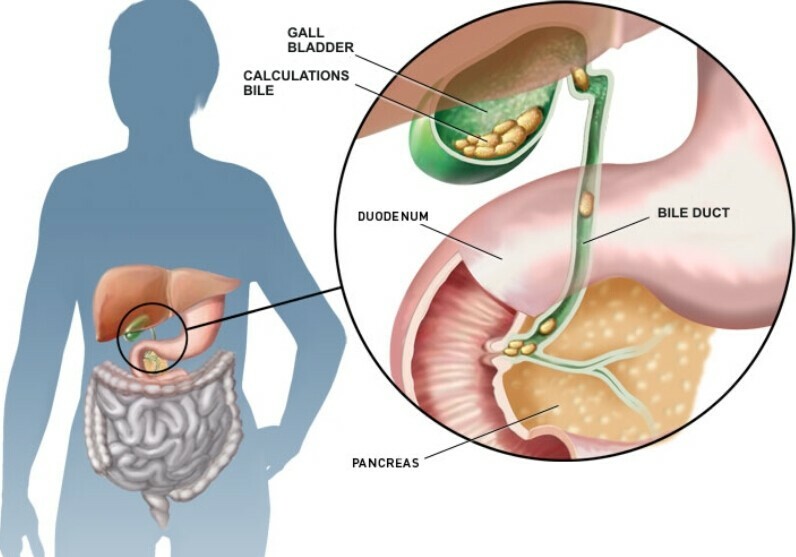 The gallbladder is a small sac located beneath the liver that stores the bile produced by the liver. The buildup of bile causes the inflammation of the gallbladder or cholecystitis. Other causes of the inflammation include tumors or bile duct blockage. This may lead to severe and life-threatening conditions if not treated immediately. The signs and symptoms of gallbladder disease include severe pain in the upper right abdomen, pain radiating to back or shoulder, nausea, vomiting, and fever. Treatments for cholecystitis may consist of fasting, pain medications, and antibiotics. In some cases, pain between the shoulder blades can be caused by nerve entrapment such as thoracic outlet syndrome and myofascial pain syndrome. 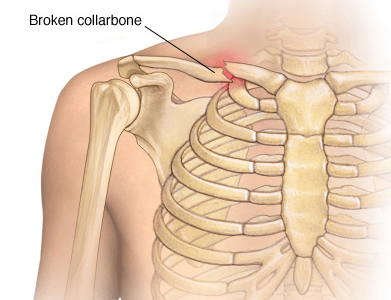 Thoracic outlet syndrome occurs when nerves or blood vessels in the space between the first rib and collar bone are compressed. Common causes of these conditions include physical trauma, anatomical defects, repetitive injuries, and pregnancy. Myofascial pain syndrome involves an aching pain in a muscle that worsens or persists. Sensitive areas or trigger points of tight muscle fibers may develop in the muscles after overuse or injuries. People who always experience anxiety and stress are also more likely to form trigger points. Acid reflux may also cause pain between shoulder blades. This common condition is caused by stomach acid moves up into the esophagus (food pipe). Common risk factors for this condition include lying down after a meal, eating large portions, snaking close to bedtime, drinking alcohol, coffee or carbonated drinks. Taking medications, being overweight and being pregnant may also cause symptoms of acid reflux. Shingles is a viral infection that can occur on any area of the body. Caused by the varicella-zoster virus, shingles is not a life-threatening disease but can lead to extreme discomfort. Other symptoms of shingles may include sensitivity to touch, red rashes, burning or tingling sensation, pain, numbness and sensitivity to touch. Pulmonary embolism is a sudden blockage in a pulmonary artery in the lungs. This is commonly caused by blood clots from legs or other parts of the body that travel to the respiratory system. The clot prevents blood from flowing to the lungs, making this condition life-threatening if not treated immediately. Other signs of pulmonary embolism include difficulty breathing, chest pain like having a heart attack, a cough that may produce blood. You may also experience leg pain, fever, dizziness, irregular heartbeat and discolored skin. Muscle strain is most common cause of pain between shoulder blades. This can result from excess lifting, poor posture, sleeping on an old mattress, physical activities and sports that involve twisting such as tennis and golf. Also known as gastric ulcers, stomach ulcers are painful sores in the lining of the stomach. Its common symptom is pain or burning sensation in the middle of the abdomen, between your belly button and chest. Other signs of ulcers include nausea or vomiting, bloating, acid reflux, and heartburn. Pain may also worsen when you drink, eat, or take antacids. In some cases, shoulder pain can be the sole symptom of a benign gastric ulcer. Stomach ulcers are commonly caused by Helicobacter pylori (H. pylori) and long-term use of NSAIDs. 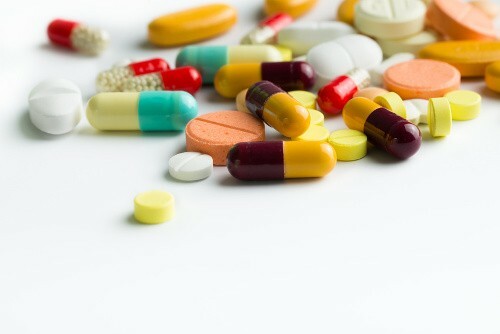 Most can be treated with doctors’ prescriptions. In rare cases, surgery may be necessary. Liver congestion occurs when the liver finds it difficult to keep in need for detoxification. One of the possible causes of pain between shoulder blades, other symptoms your liver may be sluggish or congested include poor digestion, skin problems, weight gain, and fatigue. You may also experience chemical sensitivities, sweet cravings, hormonal imbalances, white coating on your tongue or bad breath, abdominal pain and other gall bladder problems. A congested liver can be treated with natural remedies, nutrient support, and proper detoxification. You can also ask for advice from a professional to support your body and help you feel better. Angina causes pain in shoulder, neck, arms, back or jaw accompanying chest pain. The discomfort or pain may be described as squeezing, pressure, pain or fullness in the middle area of the chest. Other symptoms include shortness of breath, dizziness, sweating, nausea, and fatigue. For others, the symptoms of angina may feel like indigestion. This condition occurs when the flow of blood to the heart muscle is reduced. This prevents the heart from getting enough oxygenated blood. 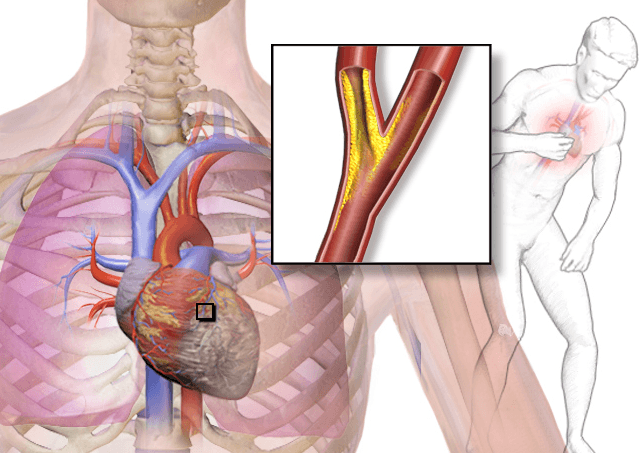 The common cause of angina is coronary artery disease (CAD). A person has scoliosis when the spine curves sideways instead of running straight down the middle. The curve’s angle may be small, medium or large. Angles that measure more than 10 degrees are already considered as scoliosis. This condition is noticeable when the person stands. The hips or shoulders do not appear to be straight, or they may lean slightly. If not treated properly, the spine may twist or rotate. This makes one side of the ribs to curve farther. For any signs or symptoms of scoliosis, it is essential to visit a doctor for proper diagnosis and treatment. If you just started with a new exercise that involves your upper body, you may experience pain between shoulder blades for two or three days. Sore muscles after exercises are known as delayed onset muscle soreness (DOMS). This occurs when you change your exercise routine, begin a new exercise problem, or increase the intensity or duration of your workouts. When you pitch every weekend or lift weights, you put pressure and wear and tear on your shoulder joints, tendons, and muscles. The uncomfortable feeling after a tough workout is a side effect of muscle rebuilding process. This is normal when heavy lifting is done correctly. The pain should disappear after three to five days. However, not warming up properly, carrying too much weight, and using poor lifting methods may cause overuse injuries like strains/sprains, tendonitis, and bursitis. One of the possible causes of pain between shoulder blades is fibromyalgia. It is a health condition characterized by widespread musculoskeletal pain. It is also accompanied by mood or memory problems, difficulty sleeping, and fatigue. Its symptoms start to appear after an infection, surgery, physical trauma or significant psychological stress. Fibromyalgia may co-exist with other conditions, such as a migraine, headaches, bladder syndrome, irritable bowel syndrome, and temporomandibular joint disorders. 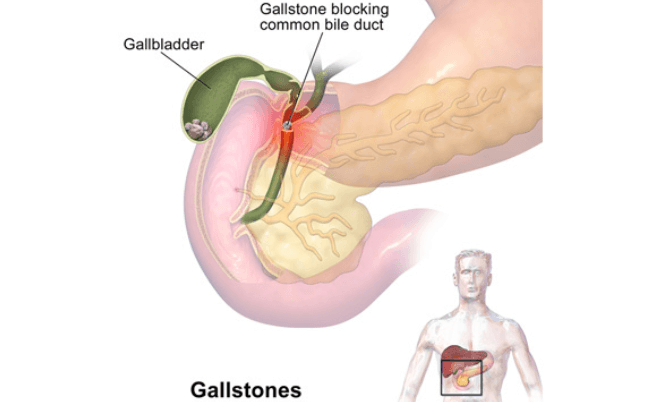 Gallstones form when your bile contains high levels of cholesterol; your gallbladder does not flush properly or when your bile has too much bilirubin. Bilirubin is produced when the body breaks down red blood cells. Health conditions that cause the liver to produce excessive bilirubin include specific blood disorders, biliary tract infections, and liver cirrhosis. Gallstones may not show any signs or symptoms. When they cause a blockage, it results in intensifying pain in the upper right portion or center of the abdomen, back pain between shoulder blades or right shoulder, nausea, and vomiting. These are the typical treatments to alleviate shoulder blades pain. Simple stretches, exercises, and self-massages with simple tools can prevent and treat shoulder and back pains. Method 1: Start in a seated position in a chair. Place your hands behind your head. Lean your upper back over the back of the chair to stretch your upper back as if you are stretching after waking up. Hold this position for 15 seconds and relax. Perform five repetitions. Method 2: To stretch the pectoralis minor, get on all fours next to a knee-high object. Gently bend your arm at 90 degrees, placing it on top. Exhale and twist gently, pressing your shoulder of that arm to the other hand. Repeat this stretch with your other arm. Method 3: To release tightened rhomboids, you can perform the child’s pose. Start by kneeling on the floor. Keep your knees hip-width apart and your toes together. Sit on your heels and gently lean your upper body forward. Your upper body should be on top of your thighs as you place your forehead on the ground. Stretch your arms over your head and rest your palms on the floor. Hold this position for 1 minute and release slowly. Perform three repetitions. Daily exercise can help strengthen the muscles of your back. You can also ask a professional for more exercises and stretches that aim between shoulder blades. Poor nutrition contributes to tiredness, stress, and capacity to work. It also increases the risk of developing illnesses and other medical problems. Your diet affects your overall health. For example, eating fatty meals is one of the causes of gallbladder disease. Lack of calcium intake can speed up the process of bone degeneration. Proper diet is not only beneficial for managing your weight, but it also influences your physical functions. Practice good eating habits to help strengthen your body and enhance your immune system. Eat plenty of fresh fruits and vegetables and choose foods rich in omega-3 fatty acids. Avoid processed foods and inflammatory foods. For mild muscle strain caused by work, exercises or heavy lifting, allow your body to rest to prevent further complications. Take short breaks at work before you start to feel overtired. Pushing yourself further will make it more difficult for your body to recover. Get an appropriate amount of sleep. Stay away from phones, laptops and other electronics at night. Hot compresses help in treating pain between shoulder blades, swelling, and inflammation. It also relieves the pain caused by strain. Fill a water bag with hot water. Apply this compress on the painful areas for 10 to 15 minutes. Repeat this process a few times a day for immediate relief. Another option is to take a warm bath or shower. Allow your body to soak for 5 to 10 minutes. Enjoy warm shower two times a day to alleviate the pain. If you want to take a warm bath, consider adding 2 cups of Epsom salt. Cold compresses are also beneficial as the cold temperature numbs the area, which alleviates pain and inflammation. Apply it to the affected areas for ten to fifteen minutes. Follow this treatment a few times a day. Another excellent way to alleviate shoulder blades pain is by having a relaxing massage. This will allow your shoulder muscles to release tension and stress. It also helps in reducing stiffness and swelling while improving blood flow. Get the gentle massage done by your partner, friend or anyone in your house. Warm up coconut, mustard, olive or sesame oil slightly. Apply the oil to the affected areas. Gently squeeze the muscles and apply gentle pressure to promote blood flow and alleviate pain. Massage for 10 minutes and place a warm towel over the shoulders. Perform a massage therapy two to three times a day. Do not massage the area if it is injured or very painful. It is best to consult a doctor for proper diagnosis. Rarely, surgery may be required if the pain between shoulder blades is severe or caused by a mendable damage. Swelling, pain or redness in one or both legs. Treatment will depend on the underlying cause of your health condition. The following tips can help prevent shoulder blades pain. Avoid lifting heavy objects: Heavy lifting may lead to physical injuries or trigger muscle and shoulder blade pain. If there is a need to carry something, make sure that you bend your knees and put pressure on your legs instead of your back. Practice good posture: Avoid slouching as this contributes to shoulder, back and hip pain. Keep your back straight when standing or sitting. You may also consider getting a special pillow or ergonomic chair to help align your spinal and neck. Have a healthier lifestyle: Get an adequate amount of sleep, eat nutritious foods, exercise at least 30 minutes a day, and drink plenty of water. Take short breaks during work and pamper yourself with a relaxing massage, bath or good music. Change your sleeping position or mattress: If you always experience shoulder pain in the morning, consider changing your mattress and look for a new one. Sleeping on poor beds contribute to muscle strain. Slow Down: Try slowing down during the lowering phase of lifting to reduce the risk of injury. It will also increase size, stability, and strength in your shoulders.